Surely we all appreciate a little sparkle in our projects! 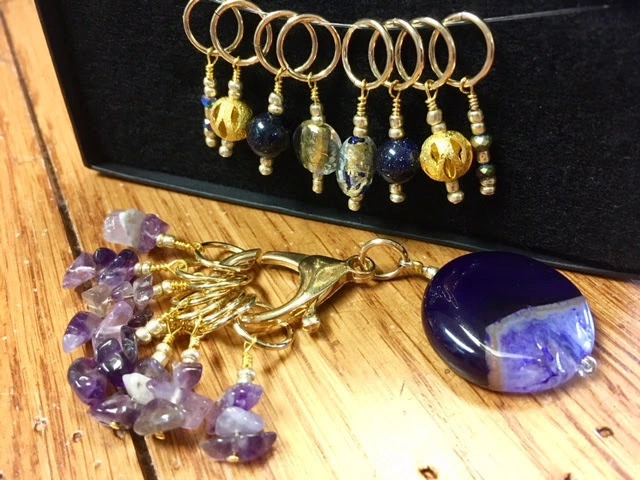 And the best way to add bling with purpose is stitch markers. 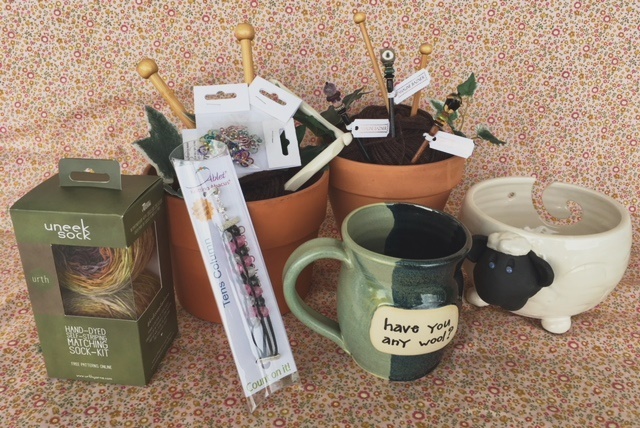 These knitting necessities are not only functional, but come in a huge variety of gorgeous, collectible designs…such as these brand-new stunners from B’s Knit Bits! The designer’s philosophy is “Love it while you make it”- in other words, don’t wait until you’ve finished to treat yourself to a little eye candy. 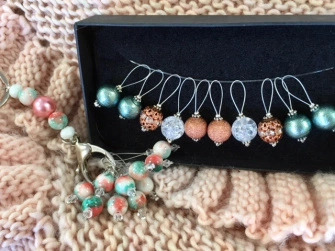 Each marker is handcrafted using lovely glass and stone beads and fine metal accents. 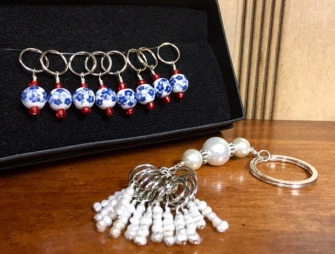 They’re available in sets of 8-10 markers, OR in larger sets including a matching keychain so you can keep them handy during knitting emergencies. Each set is thoughtfully selected and one-of-a-kind, so grab your favorite before they disappear. 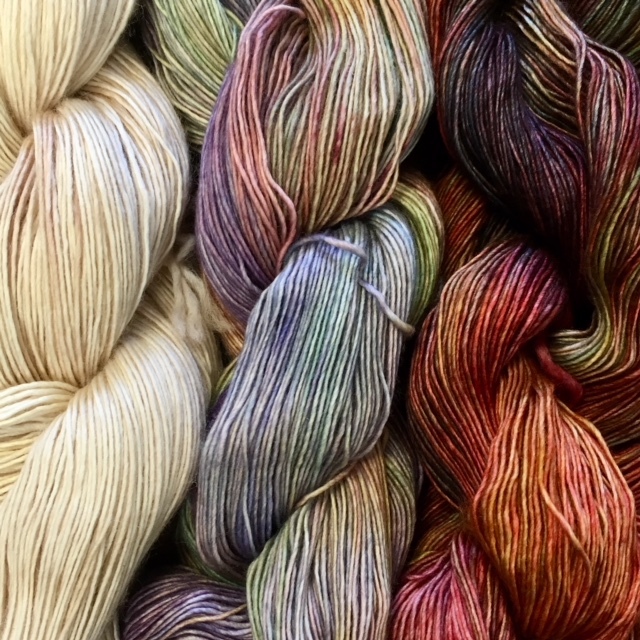 INTRODUCING NEW JILLY COLORS…PERFECT FOR FADES! 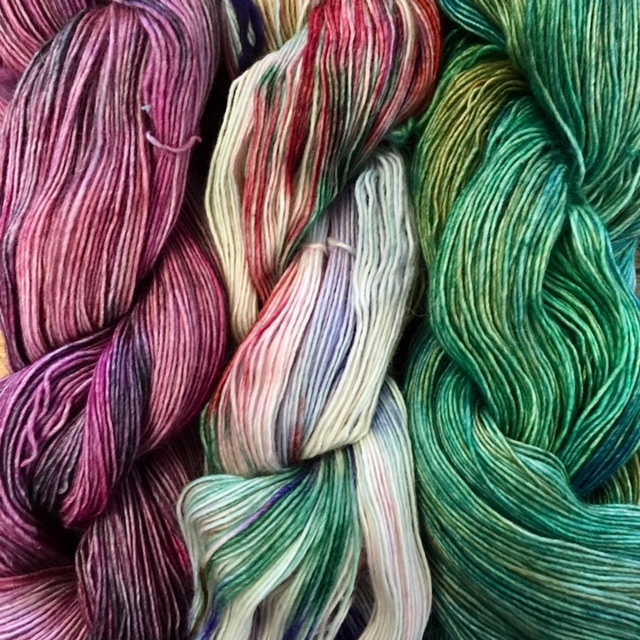 Few trends have gripped the knitting community more powerfully in recent years than the “fade”. 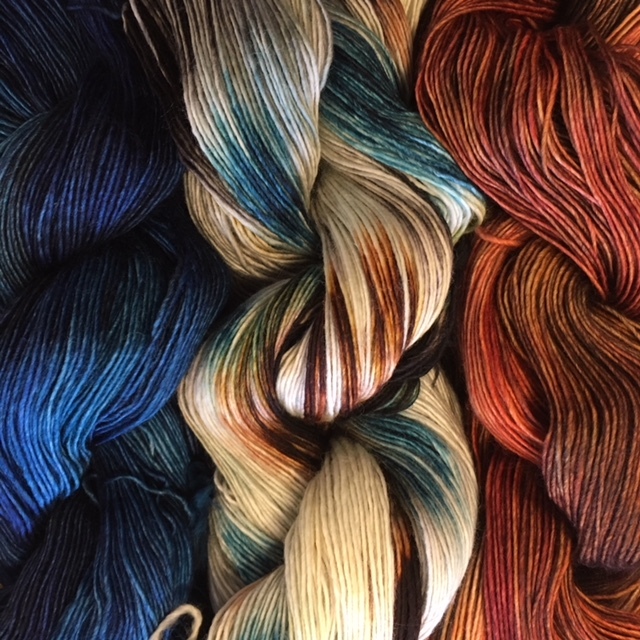 One-of-a-kind shawls, garments, and accessories display the incredible variety in handpainted yarns, overlapping colorways to create effortless gradients of mind-blowing beauty. 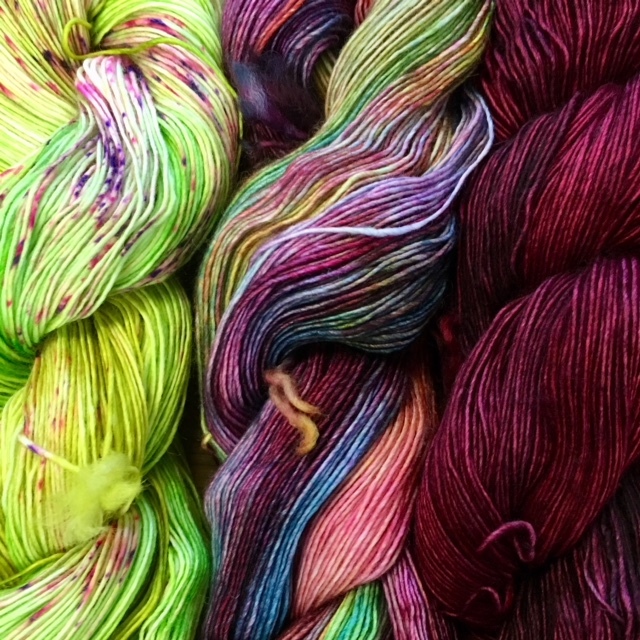 And no yarn is better suited to the fade sensation than our fan-favorite Dream in Color Jilly! 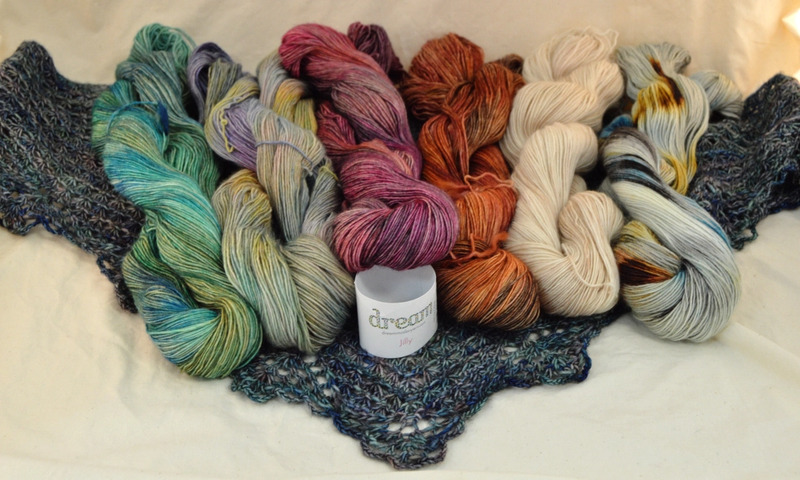 Jilly is featured on our Yarn Patch Favorites page. Over the years we’ve featured Jilly in shop samples, fashion shows, and mystery knit-alongs. 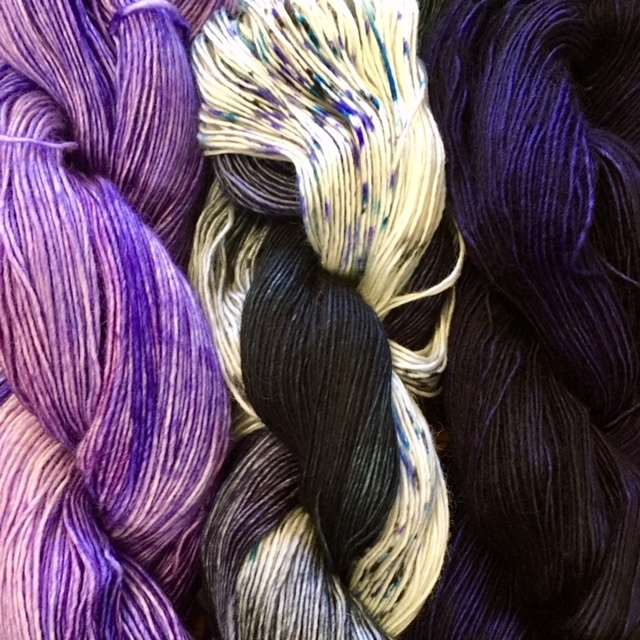 Now we’re introducing even more new colors specially selected to provide plenty of “faded” options! We couldn’t resist the chance to play, so check out our suggested combinations below. Then visit the shop or call us at (931) 707-1255 to build a fade of your own! Please note: some of the combinations shown below also use previous colorways which are now discontinued. If you love them, don’t wait to order!